The Suzuki String School of Guelph recognizes the important role that alumni have played in the shaping of the school. The SSSG wishes to further strengthen and maintain relationships between former students and the school at a grass roots level by establishing an alumni program that offers various opportunities for involvement and alumni input. 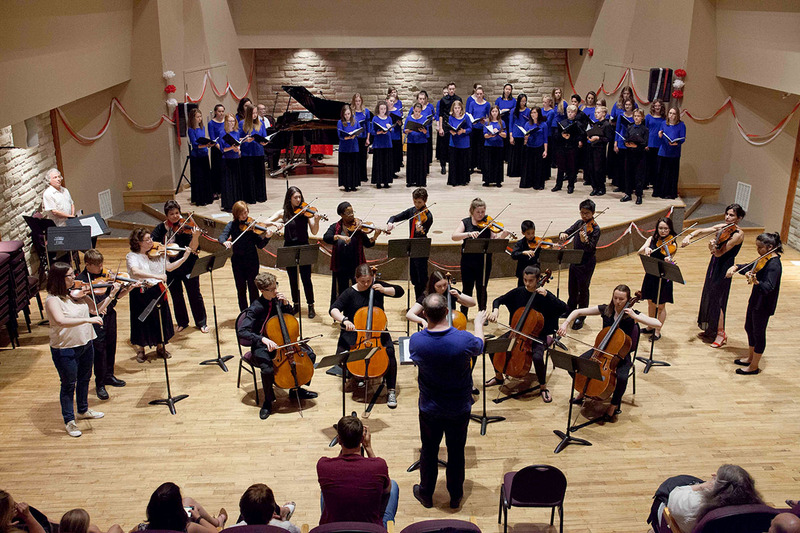 Promote and support the Suzuki String School of Guelph through a strong alumni network. Further develop and promote alumni pride and loyalty for the Suzuki String School of Guelph. The purpose of the SSSG alumni program is to encourage alumni to take advantage of all opportunities to remain connected and support the growth of friendships and the school. An individual or a group of alumni may help sponsor a student through the Bursary Fund. Alumni are encouraged to donate, lend or help rent an instrument for students that otherwise would not be able to afford an instrument. Alumni can become mentors for current students. These individuals may provide expertise on being an SSSG student! Individuals may help new and potential parents and students gain an insight into the Suzuki method and life at the SSSG. Alumni can also become mentors to teenage students interested in a career in music. These individuals are professional musicians who provide support and advice to SSSG students interested in a career in music. Themed fundraising concert that features an alumni student or students to raise funds for the bursary or endowment funds. Interested alumni should contact artistic director Paule Barsalou.